Permalink Submitted by Apoorva Deshpande on May 23, 2017 - 10:35. 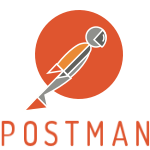 I have just started using POSTMAN for api testing . I have no knowledge of api testing . Please guide me with basics to start API testing .